7 Ready to build lots for sale Single family homes size Services installed: water, electricity and sewage. Magnolia Forest provides everything necessary for an enjoyable Floridian lifestyle, with lavish open spaces and proximity to all the amenities that one would anticipate from a first class residential area. 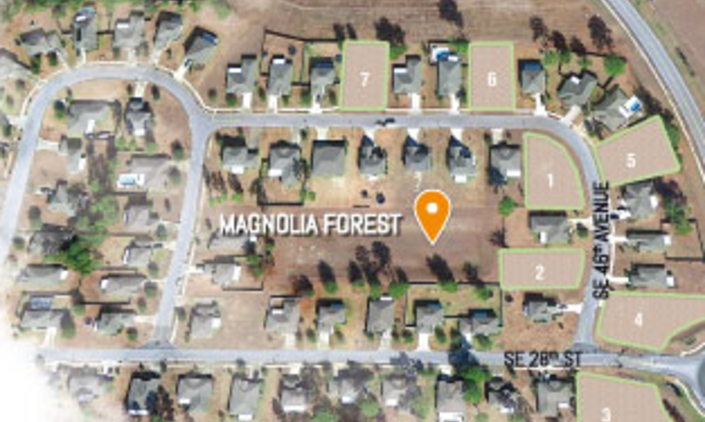 Magnolia Forest, Ocala, Marion County The city of Ocala’s nickname is “Horse Capital of the World” which gives a broad hint of its history; in 1943 Carl G. Rose established Florida’s first thoroughbred horse farm in the town. Note: These plots are currently only open to trade sales. 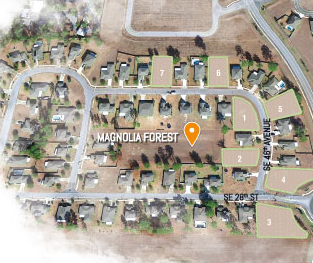 Please call +1 905 415 9267 to find out our latest prices and availability for individual plots within Magnolia Forest of SE Ocala. Further images and prices will be added soon... .